Ethiopian Airways has announced that it plans to buy new regional jets in the next month or so as it prepares to relaunch Zambia Airways. According to Chief Executive Officer Tewolde GebreMariam, the airline has narrowed its choice to Bombardier Inc.’s C Series and Embraer SA’s E2-family E195. Mr GebreMariam said Boeing Co.’s 737 Max 7 is now out of the running for the contract, which could feature 10 firm orders and the same number of options. He said there are no more pressing fleet requirements, though the airline could decide to add more Boeing 787 Dreamliners and Airbus SE A350s. Ethiopian Airlines agreed in January to take a 45 percent stake in the new Zambia Airways, with flights likely to start in October. Mr. GebreMariam said Zambia Airways is meant to initially serve national and regional destinations before embarking on international flights. He also revealed that Ethiopian Airways has also signed an outline accord to establish new national carrier Chad Airlines with a 49 percent holding. The company will also own all of the planned Ethiopia Mozambique Airlines and 49 percent of Guinea Airlines. 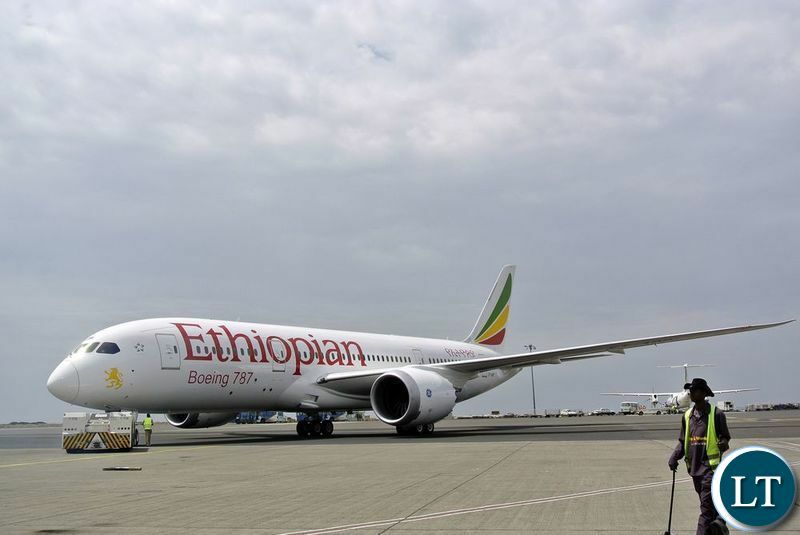 This is part of the Airline’s plans to establish half a dozen international offshoots before the end of the year as Africa’s biggest carrier steps up efforts to dominate markets across the continent. The new initiatives are aimed at consolidating its lead over rivals Kenya Airways Plc and South African Airways. Zambia Airways Relaunch: A Blessing or a Blunder! 1. How many jets will “buy” (LOL) with USD 30 Million? 2. What happened with PF “flaying” Zambia Airways to Europe, USA and China? 3. Settled to be “feeder” to ET? It looks business as usual, full of crap, short on cash? I have issue with pseudo experts like you making comments without any knowledge. Get educated on the subject matter before patronizing. In the age of internet I expect “knowledgeable” (LOL) contributor to check the price of “green” aircraft before trying to pick bone. By the way, is ET going to buy or lease aircraft and engines or is GRZ going to give BOZ guaranties? As to PF, or for that matter, any other “political party”, there is no difference. Just yapping and fattening whilst 95% of population goes hungry. LAP-Green is patiently waiting to grab those Zambia Airways planes. Why didn’t PF00Ls send a delegation to Malawi to see how Ethiopian Airlines is ripping them off? We have an ocean of jobless ACCA, MBA holders, Business management-graduates, pilots, models, caterers, aircraft technicians roaming the streets. Surely a carefully selected handful can’t fail to operate a bus service for the skies. Really laughable…EA is expanding and the PF empty tins just gave them $30 mil to merely paint their new aircrafts with s Zambian flag…already EA has signed a deals in Europe for a number new routes including UK’s second largest airport….we told you fooools but you didnt want to hear..am sure you have given them exclusive rights over others ….really laughable what dumb fooooools. And for your information EA ordered these aircraft 8 years ago as you dont order planes like you do with pizza. It is such a shame that Zambians behave so dull and use emotions than facts. This article clearly shows that the deal is one-sided. ET is calling the shots; they will kill all African airlines with a vision to strengthen their footprint. It’s what we call a dark and unethical Business Expansion strategy that those Fools in PF cannot see. They Promised Bigger plans now have downgraded to smaller jets. ZAMBIANS WAKE UP before it’s too late. It is clear ET have won we have Lost as they want to buy every African Airline so that they BLOCK COMPETITION. ALL THE MONEY WILL BENEFIT ETHIOPIAN. As Malawians, they have gotten nothing from the Deal. I have just discovered that Zambia is the country with the most expensive petrol prize in Africa. This is sad guys. It is not easy to drive in Zambia. But why only Zambia ? Why petrol is so expensive in Zambia ? In Africa, Zambia is number one country with the highest fuel prize??? Interesting. At least, Zambia is number one but for a wrong reason. quote your source of that information so that readers can independently verify. Check: wheels24. I trust u know how to get there. I have just checked as well. Found it. Cross-border truckers fill up in Botswana. Most L/stone residents actually drive to Kasane in Bots to fill up & are able to save after driving over 150km. Only a fooool would ask you for a source…i mean why does a Kenyan Airlines flight to Nairobi on its daily schedule from Lusaka will at one point detour to Harare for a 30 minute stop to topup on Jet A1 fuel….even Emirates flies from Dubai bypasses Lusaka to stop in Harare then fly for final stop in Lusaka. Zambia is landlocked country among other seasons. Iwee chii colour PF cadre , can u stop giving sllly excuses…are other countries, ie, wr fuel is very cheap not landlocked ? The only reason why fuel is so expensive among other things is bcz PF are a batch of thieving corrupt vampires….who are there not to serve the masses but enrich themselves ! If you were intelligent Cholera you would know that an intelligent person would rather align with a successful person and get a kwacha a day by having a partnership over his land if he can’t manage it, rather than sit idle with a non-performing asset. Zambia Airways is a non-performing asset of a prime tourist destination that we failed to run. Ethiopian Airways on the other hand is a model African (world) airline. @ Masalamuso . The $30mln is just the operational cost shared by Zambia side. It is too small to buy a new aircraft. Ethiopian isn’t gonna buy Zambia some new jets for $30m -that’s for their own airline. Ba LT this airline isn’t a charity . Who told you that Ethiopian was going to buy new jets from the $30 million Zambia input? Ethiopian will recoup their money from running Zambia Airways as a profitable business in the same way they have been running their airline. Zambia sells the name – that is where the value is. The $30 million will just go towards operational costs. What have supported…What is QZ? Proflight should do away with those second UK Jetstreams & replace them with the Bombardier, Antonov or Embraer light passenger jets which are cheap as USD20 million per aircraft.Buy one or two low cost Boeing dreamliners or Airbus just for international trip. Comfy your planes with plush leather seats, WIFI & TV screen for movies..Provide snooze kit with eyeshades, ear plugs, and pre-landing treats like hot towels, coffee, juice, Junta & Jameson to help those with HOs.Some f00l will even comment on the Antonov when I mean the “light passenger jets” as low as USD 22 million .So Proflight take advantage with the upgrade of KKIA & construction of C/Belt Intl.Airport.Learn from others like South West Airlines & Jet Blue Airlines who operate cheap domestics in the US. This is the utter igorance I talk about you think aircraft are so cheap that you just walk in a showroom and point at one and tell the salesman that you are taking it today… Proflight probably dont own any aircraft on paper and they are all leased. The sector is so competitive only the likes of Ryan Air and Southwest have big fleets to their names. Like you said you are a Technician (Not Engineer) who maintains aircraft or changes oil…if you knew anything about who the founder of Fastjet is, you would know that he founded Easyjet the second biggest budget airline in the UK. The man is Stelios Haji-Ioannou the founder of the Easy Brand..he has deep pockets..its laughable you comparing his company to Proflight. You know absolutely nothing about running a business…simply crawl back under the aircraft and change the Tyre and check the flaps and oil. Have ever flown on a European budget airline ..you dont even get extras like USB or Screen!! You know nothing about business…sit down..Do those credentials you are highlighting got anything to do with managing an airline!!!!! Typical Zambian walks into a room waving car keys as if all the people in room can with donkeys!!!! Every right-thinking person on earth who looks at this partnership agreement from the side of Ethiopian Airlines, sees immediately that this deal is about Ethiopian Airlines advancing and expanding its business. This is not about Zambia Airways. So what imwe??? Zambia will still benefit from this deal. You have failed to start a flagship carrier over all these years and someone comes along and helps you, you complain. For all I care, I have no problems with Ethiopian “owning” Zambia Airways as long as they run a profitable business based in Zambia and markets this country. The benefits are not just from ticket sales bangwele imwe. @ JayJay… Ethiopian Airlines is not a charity organization to bring profits only for Zambia airways, but for itself, too. What they start benefits both Zambia airways and Ethiopian airlines. One more thing, you seem to be dismissive of other’s comments to make yours comments heard. Be aware, there are always better people who knows the airlines business than you do. ET is making it very clear that the strategy and positioning is to gain a larger market share in the region so as to outwit their major competitors, KQ and SAA. Whilst the new Zambia Airline initial focus will be on domestic operations, ET is looking at international traffic from and to Zambia to link to their other routes. Also very likely ET will not even be uplifting aviation fuel from Zambia, they will land fully loaded, pick up traffic, beefing up their hard currency to sustain their survival. For Zambia its all Piggybacking as usual, the foreign company will climb on our shoulders gather the fruits, serve their own interests whilst we look on. It is happened with mines, construction etc. our youths remain jobless. I have stated time and time again for years on LT that the only way to attract more traffic to KKIA’s new airport is bite the bullet and reduce tax on Jet A1 fuel…not wasting millions of dollars on painting EA’s aircraft with Zambian flag…its utter folly. All EA is interested in is crashing competition with our help…we (the travellers) will suffer because less competition means expensive deals on Flight Scanner, Kayak, Cheapflights.com etc. Zambia Airways welcome back home! It is time to run ZA economically and socially. Stick to the basics. reasonable profit, reasonable service, reasonable coverage. To make ZA truly Zambian, it is good to go multilingualism. Use English with French and Bemba and Nyanja to make tourists comfortable. Dream on Makasa Kasonde. This is PF’s millstone. Dr Makasa Kasonde: Obviously you are an informed person so what I say here will ring a bell with you. “To make it truly Zambian, it’s good to go multilingualism. Use English with French and Bemba and Nyanja……”. Why not si-Lozi, Tumbuka or Lamba or ki-Kaonde? Are they not Zambian languages? No doubt you have heard of problems in the Basque and Catalonia regions of Spain and Quebec in Canada. They are based on linguistic marginalisation of the kind Kenneth Kaunda and his UNIP introduced in Zambia. Why an enlightened person such as yourself can be so insensitive beats me. Lambas on the Copperbelt have told the Zambian govt that they no longer want ci-Bemba to be the language of instruction in early education to Lamba children. Benefit for ZM – Nothing except for a small flag and Zambian colour livery on ET aircraft. Basically, we are paying for a wee aero Billboard. And because you are too dull, you cannot delve into the other benefits coming with this arrangement but prefer to downplay the significance in order to fulfill you bloated ego. God help us . I hope this is not another conduit of robbing Zambians out of their hard earned cash by this hopeless government. iT IS BETTER FOR ZAMBIANS IF AIR FRANCE, ALITALIA OR BRITISH AIRWAYS TOOK CONTROL OF THEIR AVIATION INDUSTRY ETHIOPIAN ARE AFRICANS WHAT DO THEY KNOW ABOUT AIRPLANES. THE ZAMBIAN GOVERNMENT IS CHOOSING ETHIOPIAN AIRWAYS TO ACCOMMODATE THEIR LOOTING. I DON’ T AGREE WITH JAY JAY THOUGH, IT DOES NOT TAKE 8 YEARS TO ORDER A NEW AIR CRAFT FOR ANY AIR CAREER. BUT EUROPEAN AIR LINES ARE STILL A BETTER CHOICE THAN AFRICAN AIRLINE TO TAKE OVER ZAMBIA AIRWAYS. Read a little more about Ethiopia. Can you please tell us little more about Ethiopian Airlines? Ethiopian should scrap the deal let Zambian Airways run by European careers for Zambians. Running Airlines needs a well educated professionals and highly skilled labor. Ethiopian airways is run by Italians why not ask politely Italy to take over Zambian Airways like Ethiopia did after September 11 crises, since then Italy funded Ethiopian with half a billion euro plus supplied all the management and technicians for Ethiopian. Today all Ethiopian air ways plane are getting high class maintenance in Rom Italy. Zambia should ask France politely to hep run and operate our Zambian Airways why give Ethiopia 30 million dollar? something fishy here. Ethiopians are Blacks they can not operate even a city bus forget about Airlines. EA is a well run profitable company get that right no need for bring your inferior complexes…what we are saying there is absolutely no need for this deal or creation of an airline with anybody for Zambia. Ba Jambo – quite some thinking there — so Ethiopian is run by Italians. Ethiopian is going to run Zambia Airways, and then you remove the Italians, how? Well I hope after wasting $30million at least the pilots, crew etc will all be zambian if nothing else. I am glad Hazaluza HAgain! Who the [email protected] are you?